This week, Brian Clegg joins us with a compound that contributes to countless kitchen cupboards. 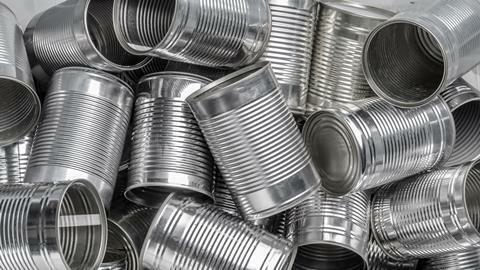 There are few chemical elements as ordinary sounding as tin. Apart from anything else, it’s got an unusually and reassuringly short name, making its compounds with chlorine, tin (II) and tin (IV) chloride, sound as boringly everyday as table salt – and yet each has some surprising behaviours. Tin (II) chloride, formerly known as stannous chloride, appears to be a straightforward white crystalline substance, but its structure is unusual. It’s made up of long chains with each tin atom bridging pairs of chlorine atoms and supporting a third. An attempt to dissolve the compound in water will initially go well, but as more water is added, the chloride reacts to precipitate out insoluble hydroxotin (II) chloride, leaving hydrogen chloride behind. 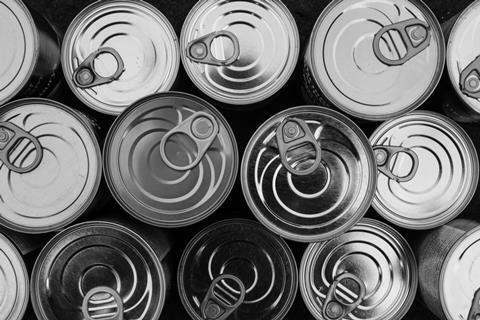 Adding hydrochloric acid keeps the material in solution, and in this form tin (II) chloride takes on the role that gives the word ‘tin’ its alternate meaning – a can, usually for food, with a tin plating. Steel is dipped into the solution and then an electrical current applied with the metal as the cathode. The solution is electrolysed, depositing a protective layer of tin on the steel. This is only the start of the tin (II) chloride story, though, as it crops up surprisingly often as a helper in manufacturing processes. For example, mirror makers have a problem: the silver or aluminium used to produce a reflective coating won’t directly attach to glass. So, the first stage in making a mirror is to coat the glass with tin (II) chloride. When silver is applied, usually as a salt such as silver nitrate, the tin chloride reduces the nitrate to deposit silver on the surface. 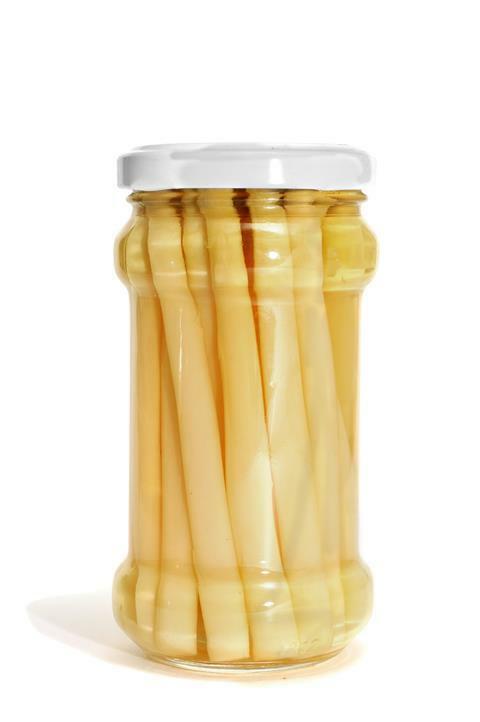 However, if you spot E 512 in your preserved asparagus, there is no need to panic. The panel concluded that 'stannous chloride (E 512) is of no safety concern in this current authorised use and use levels.’ It says a lot for the importance we place on food safety (and perhaps a little for the EU’s bureaucracy) that we have a 30-page document assessing the safety of an additive that can only be used with white asparagus and that, in practice, the EU could not find. The other compound, tin (IV) chloride, originally called stannic chloride is a liquid at room temperature. It extracts water from the air, producing fumes and forms a hydrated crystal with five water molecules to each of tin chloride. This hydrated form used to have the rather lovely name ‘butter of tin’. Several chlorides were given this name – antimony, arsenic, zinc and bismuth included – apparently because they are soft and oily in texture. In a letter to Henry Oldenburg, secretary of the Royal Society in 1674, one M. Lister wrote of such butters: ‘I take it to be that which van Helmont calls the Gur or Bur or butter of Minerals; ‘tis in taste sweetish, only it has a vitriolic and iron like twang with it [spellings modernised].’ Unlike its cousin, tin (IV) chloride has limited used on its own, but mostly acts as a starting point in producing organotin compounds. As the name suggests, these are organic compounds with a tin atom attached. They come into play both in the production of PVC, as fungicidal additives for materials and as antifouling agents. 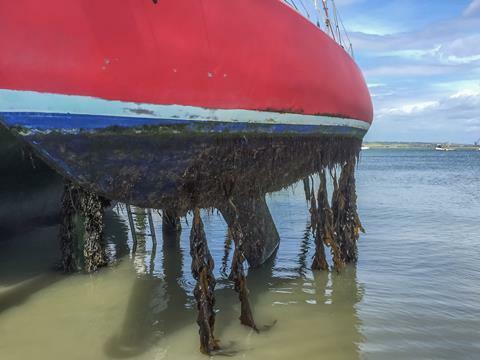 These prevent the build-up of living matter on the hulls of ships, where mats of microorganisms, plants and animals result in water resistance and wasted energy. 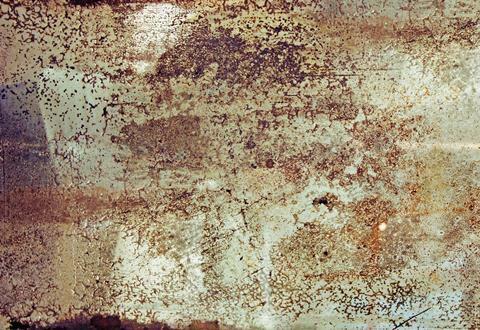 The fumes given off by tin (IV) chloride are described as acrid and irritating. They were clearly noticed by its first known discoverer, German chemist Andreas Libavius, who worked in the second half of the sixteenth and early seventeenth century when chemistry was only starting to evolve from alchemy. 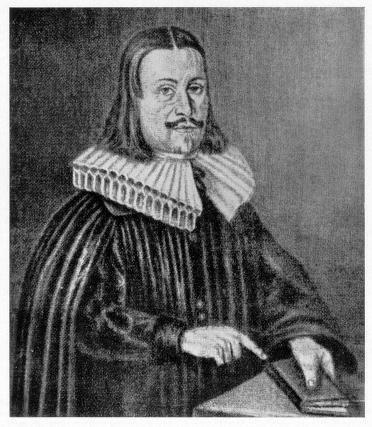 In his book Syntagmatis Alchamiae Arcanorum, published in 1615, he described making the modestly named ‘spiritus fumans libavii’ – Libavius’s fuming spirit – which was tin (IV) chloride. The fumes led to the compound being used in the First World War as a chemical weapon. Unlike many of the other gasses employed, it did not result in death but was debilitating enough to render troops ineffective. Despite being such simple inorganic compounds, tin (II) and (IV) chlorides are anything but simple in their reactions. They may not be household names, but from tin cans to mirrors to boat hulls, each has a role to play. That was Brian Clegg with tin chlorides. And from one common metal to another, Kit Chapman discovers the need for a certain vintage of steel. But sometimes it’s important to have steel that has little-to-no background radiation: for example, when you are constructing a Geiger counter or medical device to measure radiation levels or creating a satellite with very delicate sensors. For this, you need low-background steel. And that means a little recycling. Join Kit for a story of nuclear testing and specialist steel in the next chemistry in its element podcast. Until then, you can peruse our previously published pods on chemistryworld.com/podcasts, and send us any ideas for compounds to consider by email to chemistryworld@rsc.org or by tweeting to @chemistryworld. I’m Ben Valsler, thanks for joining me.